I really love Thai curry. Luckily, we have three great Thai restaurants within minutes from our house and we go as often as we can. But unfortunately we can’t spend every night in a restaurant. 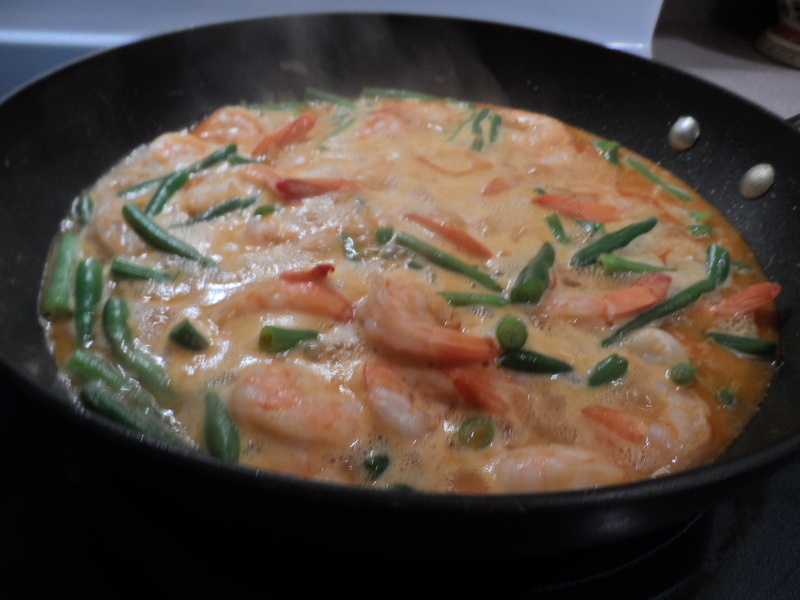 There are times when one has to take matters into their own hands and make Thai curry at home. On a busy night it comes together quickly. Shortcuts are okay with me and my family agrees. 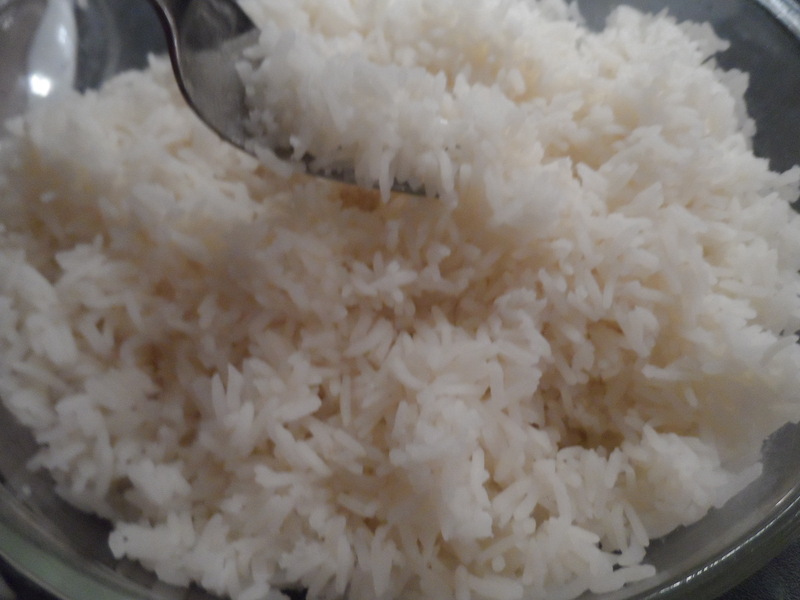 I start with the rice. 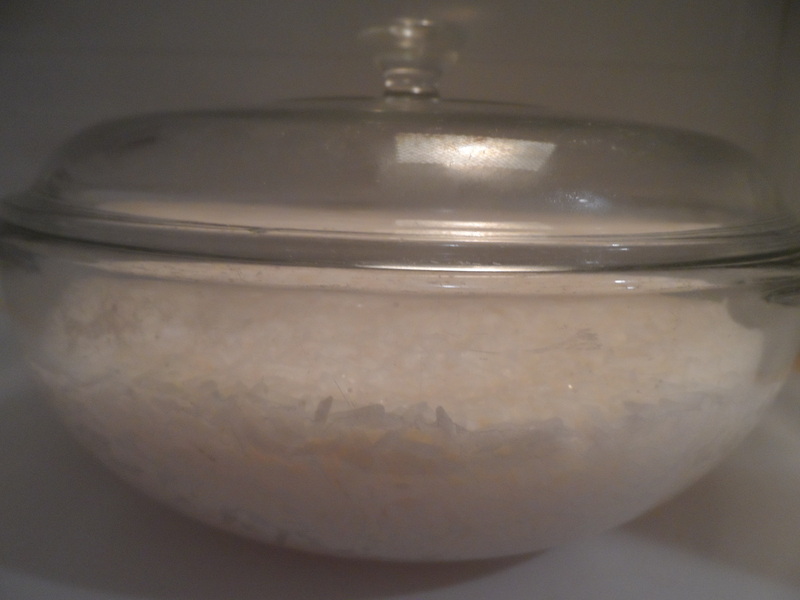 My foolproof way of making rice is this: I take 2 cups of Jasmine rice, 3 cups water, and two teaspoons kosher salt and place them in a microwave safe bowl. 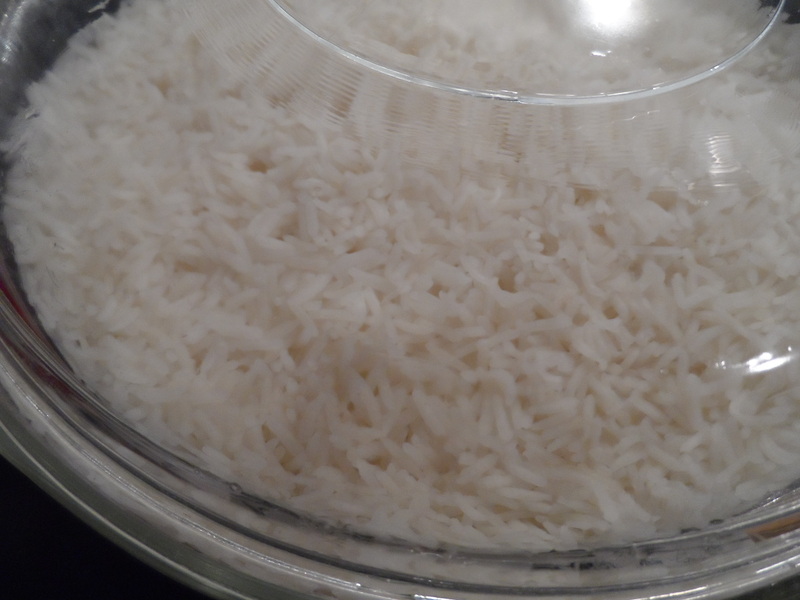 Microwave it for 15 minutes with the cover off and 5 more minutes with the cover on. Out of sight and out of mind while I focus on the curry. 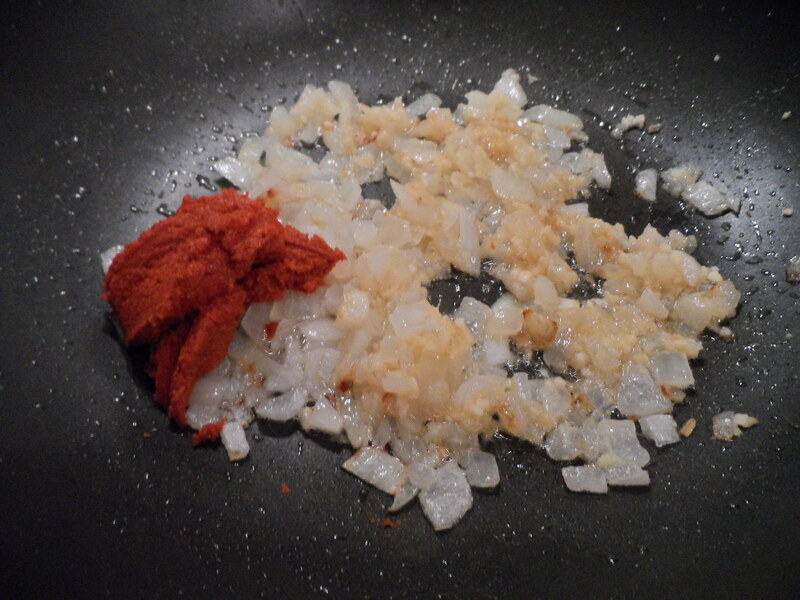 Next comes the curry. 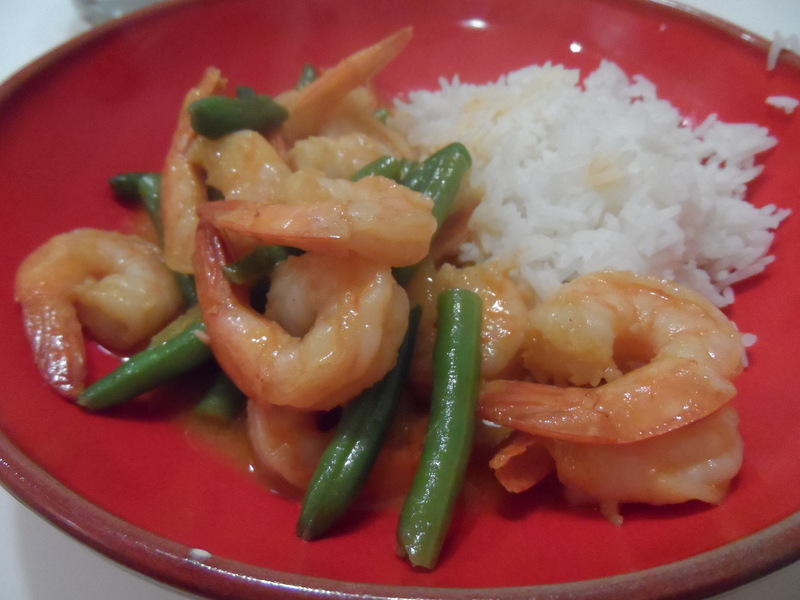 This is a little different then restaurant curry but it is how we do it at home. And we are out to make ourselves happy after all. 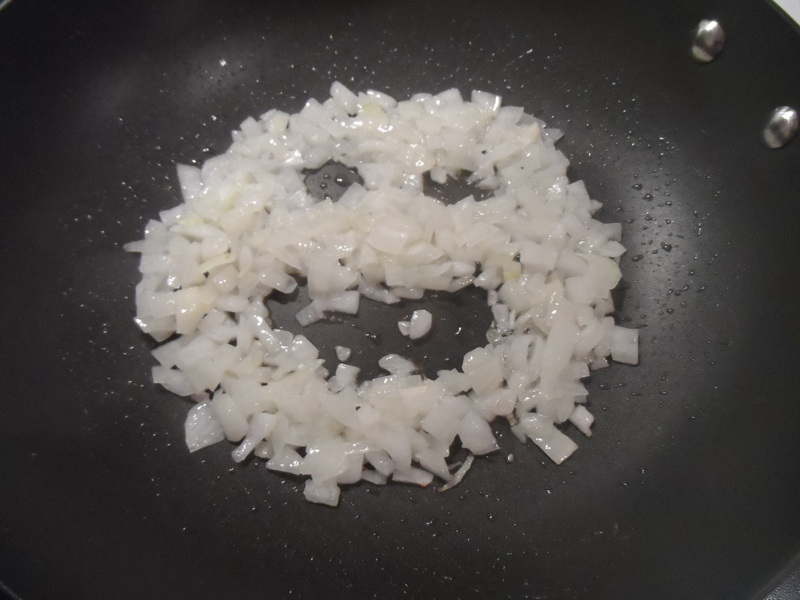 First, saute a cup of chopped onions. 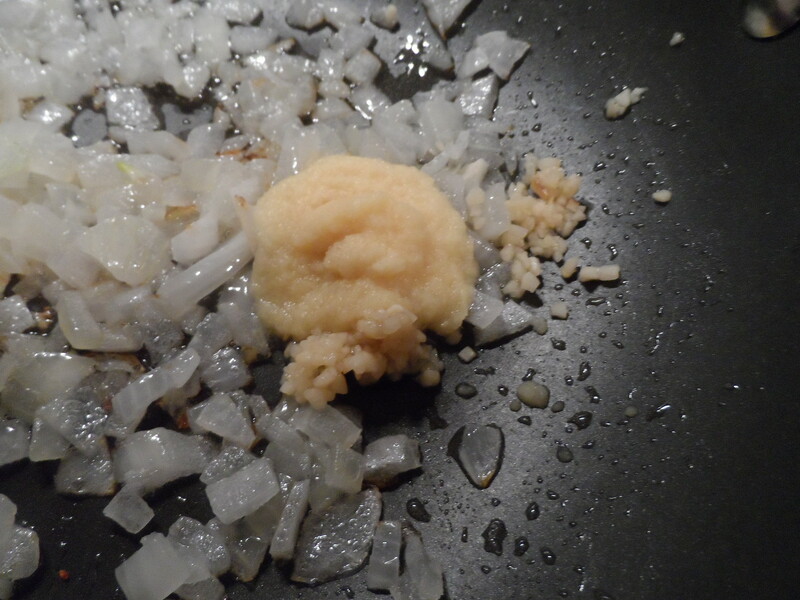 Add 1 tablespoon ginger paste and 1 teaspoon chopped garlic. 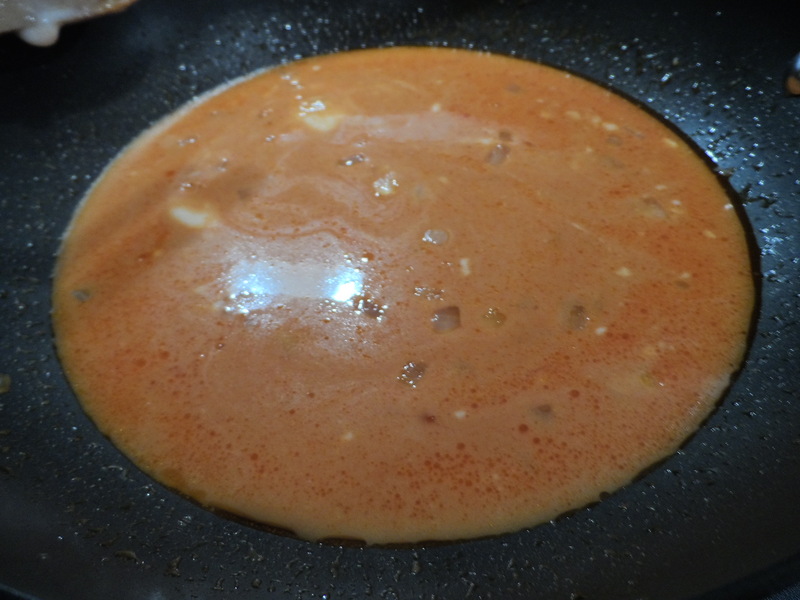 Add 2 tablespoons of red curry paste. 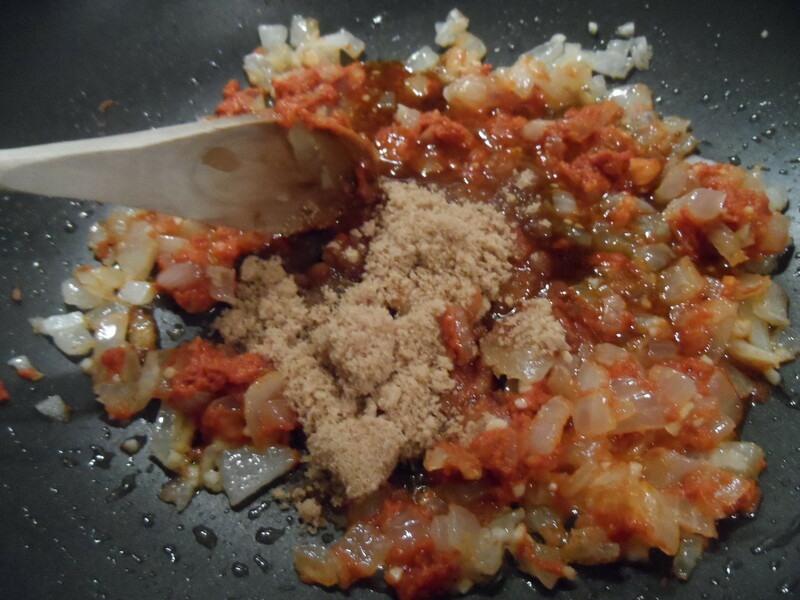 Add 2 tablespoons of fish sauce and 2 to 3 tablespoons of brown sugar. 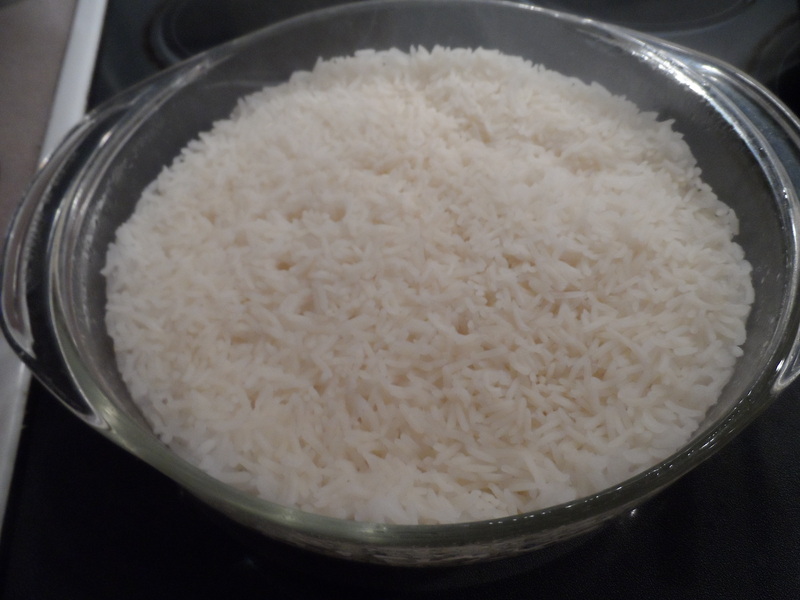 Add a can of coconut milk. 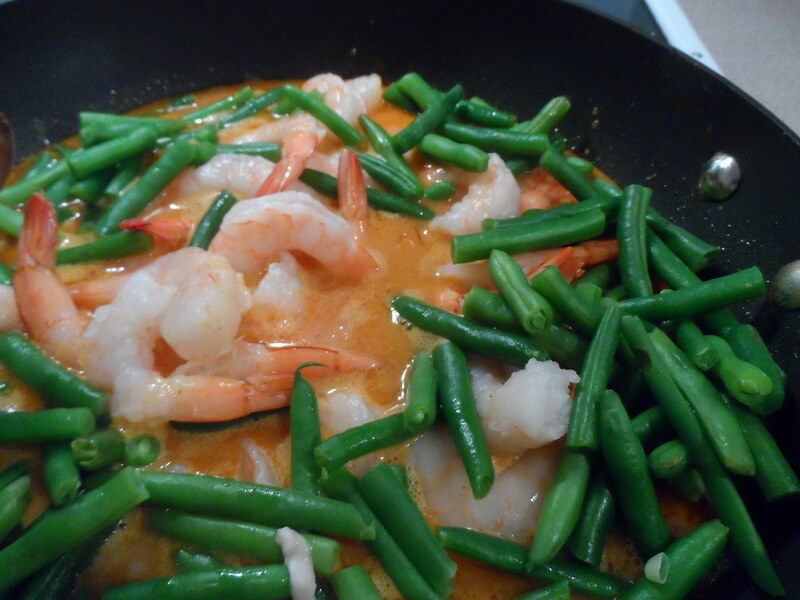 This time I added a pound of pre-cooked shrimp and about 12 ounces of pre-cooked green beans. But you can add anything you like… chicken, tofu, beef, peppers, broccoli, etc. 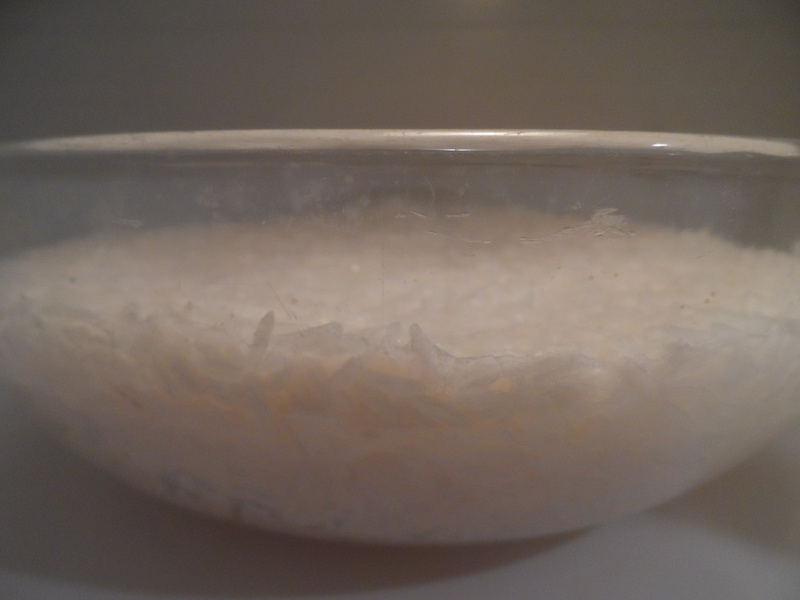 Simmer for about 10 minutes.